A day ahead of the discussion on the Goods and Services Tax bill in the Rajya Sabha, the Congress on Tuesday said the long-pending legislation will be passed "if there is no obstacle". 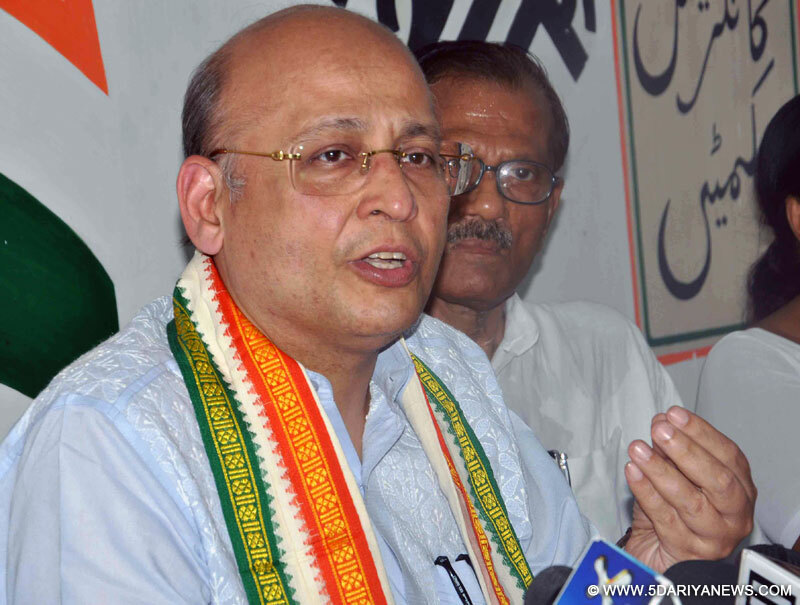 "If there isn't any obstacle, the GST Bill will be approved tomorrow (Wednesday)," Congress MP Abhishek Manu Singhvi told reporters outside the Parliament House.The government on Tuesday circulated among the members of the house amendments to the draft legislation. The amendments proposed in the bill -- scheduled to be moved by Finance Minister Arun Jaitley -- are expected to sail through as the government has scrapped the levy of additional one per cent tax proposed earlier.Jaitley briefed the Bharatiya Janata Party members on the bill at a BJP parliamentary party meeting on Tuesday morning.Sources said the Finance Minister asked the members to read and understand the bill before it is taken up.Both the BJP and the Congress have already issued whips to their members, making it compulsory for them to be present in the upper house on Wednesday when the debate and vote on the GST Bill are expected.